Test Contant. Popular model Idli cooking plant specially designed for making fast steaming hot idlies made out of 18 swg. It is fabricated out of stainless steel with capacity of 45 idlies with trays. Special Features It is a counter top model idli plant easy to handle and can be directly kept on any stove or electrically operated. It is ideal for fast food centres and out door caterings. Highly suitable for hotels, restaurants, industrial canteens, hospital canteens, fast food centres, hostels, and charitable institutions. 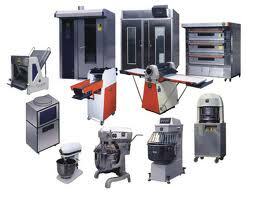 To be the premier provider of Commercial Kitchen, Bakery, Refrigeration and laundry Equipment. Our aim is not to beat the competitors’ prices but to provide complete customer care from order to supplies and installation and commissioning. This starts with exceeding the customer’s expectations and is maintained by continually doing so and establishing a close working relationship in the process. To be the premier provider of equipment and related service and laundry industry. Our aim is not to beat the competitors’ prices but to provide complete customer care. This starts with exceeding the customer’s expectations and is maintained by continually doing so and establishing a close working relationship in the process. There is something about me.. Copyright © 2019 TechnicaPak.Com – Under Constraction.